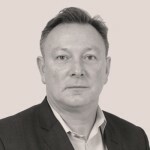 The BYLOR joint venture between Laing O’Rourke and Bouygues has hit a key milestone on the Hinkley Point project after completing the first concrete pour for the common raft for unit 1 on the nuclear island site. The 36-hour concrete pour achieves a major project milestone releasing a payment rumoured to be worth up to £70m. 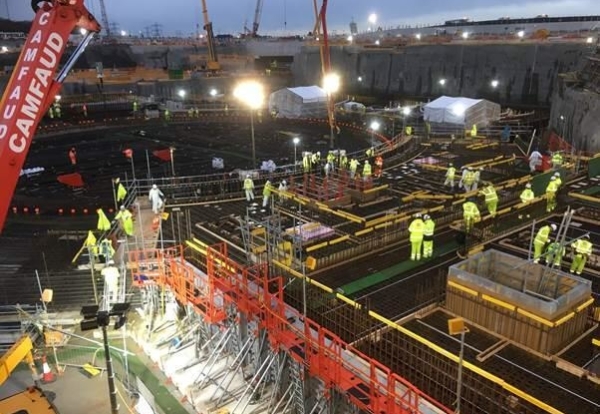 Around 100 workers were involved in the complex project which saw 2,500 cu m of nuclear concrete poured through Tuesday into Wednesday – the biggest placement so far at the power station construction site. The pour represents a small section of the main common raft which is due to by constructed next summer. The cross-shaped common concrete base slab is classified as a nuclear safety-related structure and is seismically qualified. It will support the unit 1 reactor building, the fuel building and the four electrical and safeguard building divisions. The thickness of the slab is typically 4m under the reactor building, and from 1.8m to 3.2m under the other buildings.